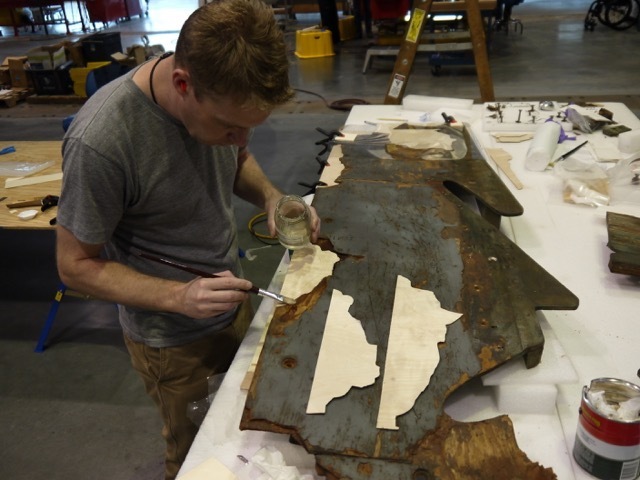 I trained as a conservator in the UK and after graduating was awarded an object conservation fellowship at the Smithsonian Institute’s National Museum of the American Indian in Washington DC, and a second fellowship at the National Air and Space Museum in Chantilly Virginia. The Smithsonian fellowships provided opportunities to build some great industry experience on my previous academic training, and to develop advanced research and analytical skills using cutting edge technologies and techniques. 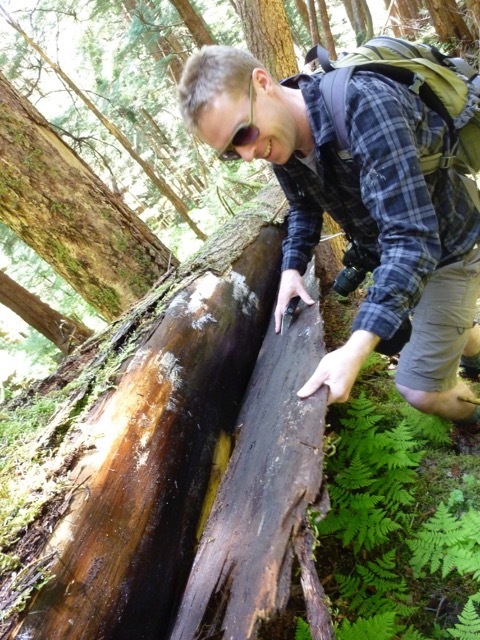 Collecting bark samples during National Museum of the American Indian field work in Sitka Alaska. What’s your role at Birmingham Museum and Art Gallery? I’m the organic materials specialist for the Staffordshire Hoard – the largest hoard of Anglo Saxon gold ever found. The Staffordshire Hoard objects are predominantly formed from gold, silver and garnets, but a small amount of organic materials have survived roughly 1400 years of burial. The organic materials we are studying are the remains or by-products of plants and animals, and so far the research has identified evidence of wood, bone, shell like material, beeswax and possibly some animal skin or animal glue used decoratively or structurally on some objects. The research team includes some of the top archeologists, historians, scientists, conservators, and other museum professionals in Europe and I’m very fortunate to work with such a talented group of people. Analysis of the organic materials helps my team and me figure out what the objects are made from, how they were processed, and what this can tell us about the culture and environment in which the objects were made. 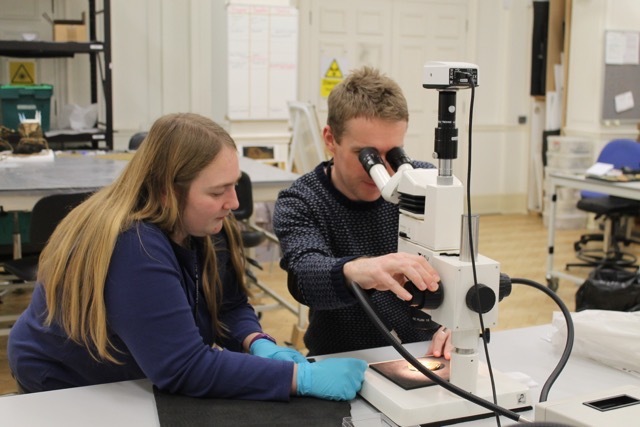 The Staffordshire Hoard project places a strong emphasis on keeping members of the public informed about our discoveries, and I have had great fun meeting museum visitors and special interest groups to keep them up to date about our findings. It’s been great to hear the many different theories as to why the Hoard was buried in the first place. Working at the Smithsonian Institute’s National Air and Space Museum was very cool. 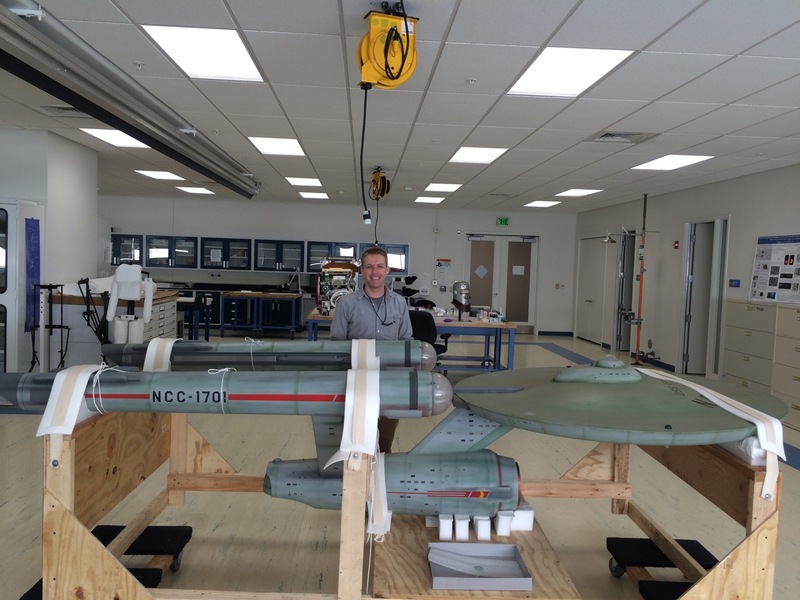 We had a constant stream of amazing objects in the conservation laboratory such as Apollo 11 objects (including lunar mission maps and Neil Armstrong’s watch), the backup Telstar communications satellite and the Starship Enterprise model used in the original Star Trek series. I was also involved in routine conservation of large objects like the space shuttle Discovery and the museum’s many amazing aircraft. The last project I worked on at the National Air and Space Museum was very exciting. 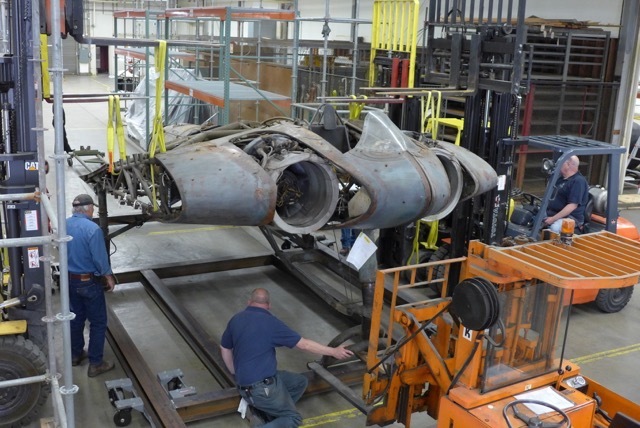 I was part of a team assigned to carry out analysis and repair of the Horten Ho229 – a top secret wooden jet aircraft, designed and built in Nazi Germany at the end of WWII. Interviews with the aircrafts designers indicated that they had added carbon powder to adhesives in the plywood outer skin of the jet that would make the aircraft invisible to radar. My team and I used a range of scientific analyses to verify the designers’ claims, but were unable to detect the secret ingredients that they had described. I’m inspired by anyone who pushes the boundaries of what is possible – and not just in the present day. There is a tendency to think of our ancestors as being a bit primitive, but I’m constantly surprised and inspired by the amazing hand skills and understanding of materials that have gone into making some museum objects. The Birmingham Museum team has recently been trying to make replicas of some of the Staffordshire Hoard objects using cutting edge 3D scanning and printing techniques, but we’re struggling to reproduce some of the detail that we find in objects made by hand roughly 1400 years ago! In many ways, my job is a bit like being a detective. I love finding small clues hidden in objects and using the clues to open a window onto the past. I’m very privileged to work closely with museum objects that most visitors only get to experience from afar. In a single sentence tell su what’s great about heritage science. Heritage science adds a layer of clarity to our best guesses about the past, and ensures that our cultural heritage will survive into the future.